It is inspiring and heartening to see so many citizens -- whether from nearby neighborhoods or across the country -- pitching in with relief efforts in New York and New Jersey following the devastation of Hurricane Sandy. The drive to help those in need of shelter, clothing, and food continues, while the focus is slowly beginning to turn to rebuilding. Global Green USA knows well the challenges of rebuilding, as we led the green rebuilding of New Orleans after Hurricane Katrina. I had the crazy idea that our organization could help rebuild better homes, schools, and neighborhoods. And we did. TIME magazine recognized our leadership and wrote, "No organization is doing more to green New Orleans than Global Green USA." 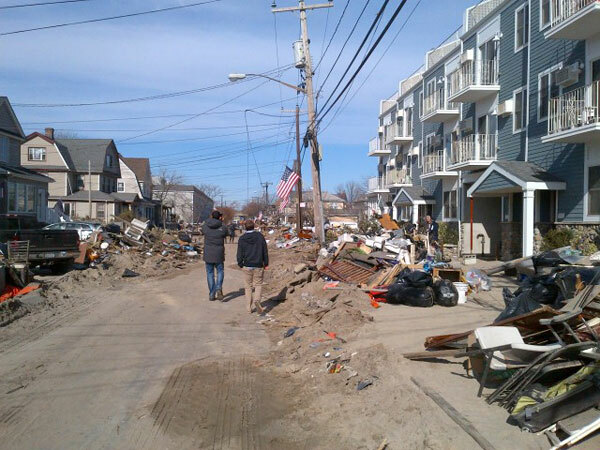 As we did after Katrina, Global Green USA is putting forth a plan to help rebuild communities and neighborhoods devastated by Sandy, and help make them more resilient, healthier, and greener. This includes rebuilding schools to be green, with the addition of back-up solar systems, so they can serve as solar-powered emergency centers for future storms or blackouts. Our Solar for Sandy initiative is seeking donations from solar companies and others to put up back-up solar systems on schools, women's shelters, and centers in each devastated neighborhood to provide light, cell phone charging, and other needs. Global Green USA is also taking our leadership and expertise to the planning level to look at infrastructure and how neighborhoods can come back stronger than ever. We are forging partnerships with other organizations to identify neighborhoods now, and will announce a call for proposals from cities and boroughs. Still, this is not enough. We also know the threats to low-lying coastal communities due to sea level rise. With more than 150 million Americans living in or near coastal cities, we need to continue the fight to reduce greenhouse gas emissions -- by raising awareness, calling for action, and rebuilding more resilient communities and infrastructure. In our work in New Orleans and elsewhere, it is often the individuals and their own crazy ideas that inspire us the most. 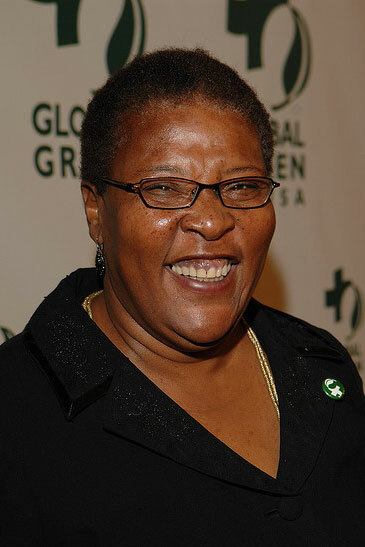 One such person was Pam Dashiell in the Lower 9th Ward of New Orleans, who committed her Holy Cross neighborhood to rebuild the first carbon-neutral neighborhood in the United States. Sadly, Pam passed away three years ago, but thanks to her commitment, there are now more LEED Platinum homes in the Lower 9th than any other neighborhood in the United States. We know that to make our nation great and to help the places, people, and planet in need, our leaders need to act, whether it be in the halls of power or corporate board rooms. And we need individuals to stop seeing themselves as consumers -- by reclaiming their role as citizens and taking responsibility for a corner of their world. People like Pam. I call them Citizen Entrepreneurs. They don't run nonprofits or have the latest cool start-up. They work in their community, care about their neighborhood, and want to make where they live -- their city, their nation, and the environment -- a better, greener, healthier place. Citizen Entrepreneurs take a crazy idea they have for making their neighborhood better while connecting the dots with the larger challenges we face, and make it happen. Earlier this year, we had our first search for a Citizen Entrepreneur, a local green hero with a crazy idea to take responsibility for a corner of their world. We had more than 150 people enter or nominate someone they know from all across the U.S., and we picked 13 finalists, all by offering just $1,000 in seed funding. Thanks to supporters, that funding increased so we could offer $8000 to three winners and five runners-up. Now we want to enlist you and get your crazy idea for rebuilding a neighborhood that was devastated by Hurricane Sandy. For our next search for Citizen Entrepreneurs: Citizen Sandy, submit your idea -- or nominate someone you know or may have learned about -- to help rebuild on the East Coast. We are looking for local green, rebuilding projects that can help make your neighborhood more resilient, and help speed a sustainable recovery. Whether it's a big idea like Pam's for the whole neighborhood, or greening your child's school, or restoring a local park, we want to hear your ideas. Global Green USA will select one or more project(s) to assist with a seed grant of $1,000 and offer our technical assistance to help with your local green rebuilding projects. With the help of individuals from across the U.S. -- and the world -- we hope the seed funding will grow, as it did with our first Citizen Entrepreneur search. We will choose finalists, then open up the voting online to the public before picking projects to be awarded the grant(s) to help seed their green project(s), or take it to the next milestone. Be sure to enter yourself, or nominate someone you know today. And if you don't live in a devastated community and don't have someone you can nominate, you can help by: A) Joining us in solidarity by sending an "I AM" photo to represent a low-lying community at risk due to sea level rise and telling us your commitment to fight climate change; and B) Making a donation to help increase the funding we can give to our Solar for Sandy and Citizen Sandy projects, and to support Global Green USA's green rebuilding projects.